Here is the Stunning Minty. A truly handsome Horse which I was commissioned to paint as a present. 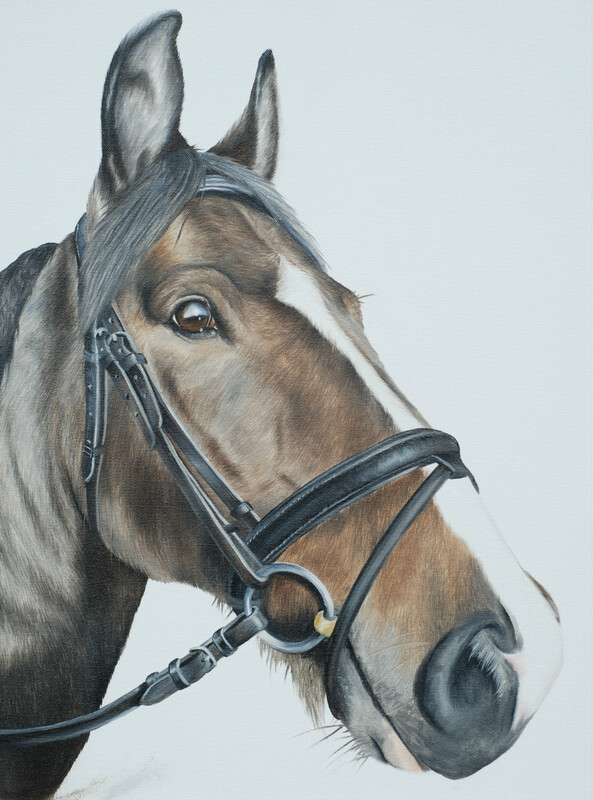 As I've said before there is such a connection between horses and their owners so a portrait makes a truly special gift. I not only wanted to capture Mintys handsome looks but also his loyal (and on occasion a little cheeky!) character. I woke early today around 5.30 and got up feeling quite chipper, was even whistling as I put the kettle on which is a rarity. I adore cold frosty mornings, dead still and white and thankfully this morning was such a morning so, looking out over Dorchester’s rooftops eastwards as the dawn gained it was indeed going to be a good morning ! A little light creeping above the town revealed the cold chill of impending winter dressed over roof and grass, sublime. Scraped the cars for myself and Susan then headed into Dorchester, still fairly sleepy for a weekday , I’m guessing most slightly delayed by cleaning off ice. I came into work through Christmas tree lined streets still lit in the half dark. My best morning of the autumn so far and then to open the attachment to your email just topped it off so fantastically. Your picture is spot on and gets him and his character just right, he is a nosey so and so and also wanders off just like a child sometimes, attracted to some unknown fascination and the expression on his face just sums captures that , “what’s going on over there” so well.